Comment with your name and ALERT day only if no book copies are available on the shelf. Please only read one Nature's Habitat title at a time, and have only one copy of a title at a time. Please provide a specific example from the text where the author used figurative language effectively, made a scene come alive with lively description, or provided a plot twist where the storyline took an unexpected direction. 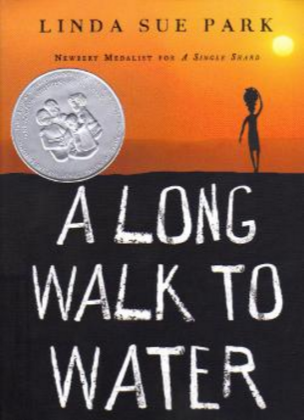 A librarian created a video book trailer to encourage more people to read A Long Walk to Water. Are you up to the challenge of making a newer, updated one in PowToons, WeVideo, or using another media tool?